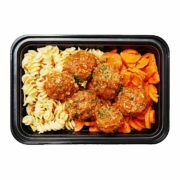 Featured is Lean On Meals Classic Turkey meatballs. 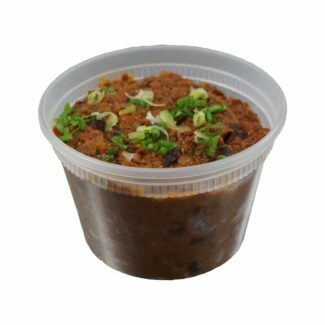 Our Original Favorite made from Mouthwatering Extra Lean Ground Turkey. Please note that all measurements are in approximate value. Save Time and Eat Healthy. 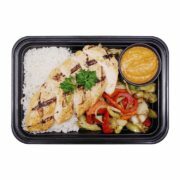 Fresh, Convenient, and Healthy Meals delivered to your doorstep weekly. 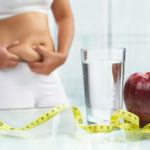 Eat Healthy, Feel Great, and Enjoy your Life! Healthy and Delicious meals prepared by our talented Chefs. Avoid the Stress of Grocery shopping, and Preparing meals. 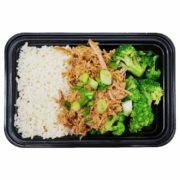 High Protein meals designed to help you Burn Fat, and Gain Muscle. Support local. Proudly locally owned and operated. All meals are made from fresh, local ingredients. 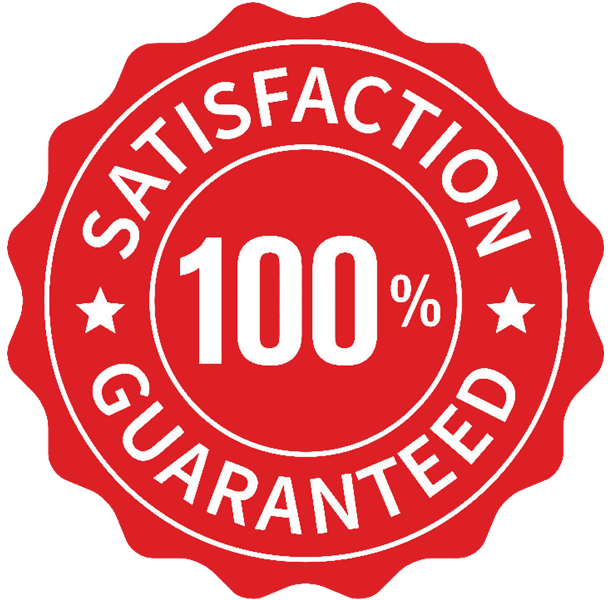 Order Meals for Pickup, or Delivery at No Risk with our 100% Taste and Quality Guarantee or your money back. Join our newsletter to claim special offers, and be kept up to date on new menu choices. 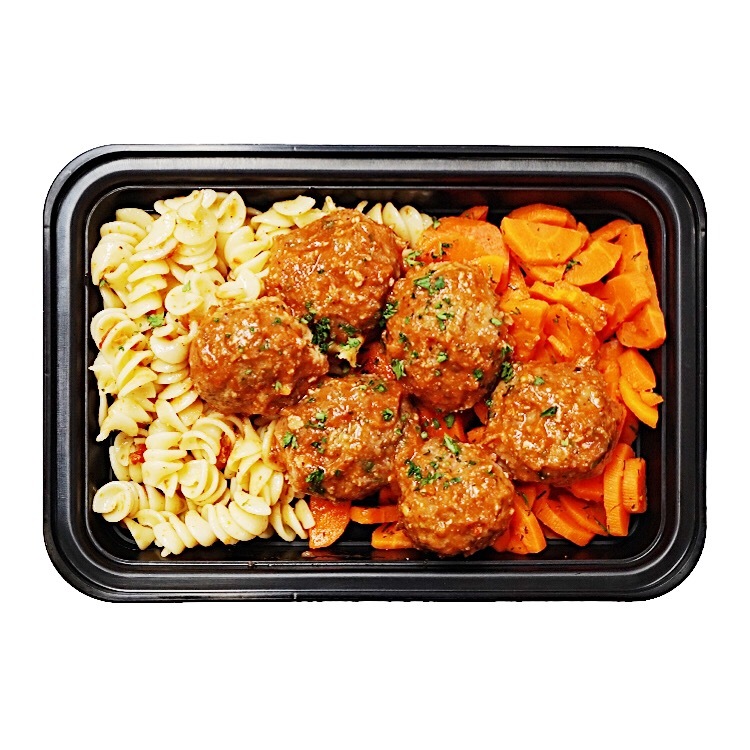 Classic Turkey Meatballs (4oz) Protein: 24g Fats: 2g Carbs: 1g Calories: 118 Classic Turkey Meatballs (per-1oz) Protein: 6g Fats: 0.5g Carbs: 0.25g Calories: 29.5 To Track your macronutrients we recommend using the MyFitnessPal or MyPlate Apps! For more information on our starches, vegetables and sauces, please see our nutritional macro sheet. These are amazing! I order them each time! Very satisfying and well prepped. 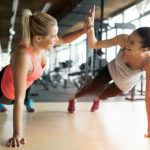 Help a friend with the Gift of Saving Time and Eating Healthy! 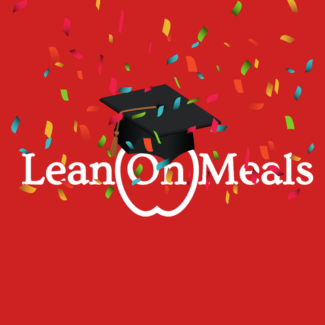 Gift a Lean On Meals gift card to somebody you love and help make their life easier 🙂 *Please note if you are just purchasing an e-gift card you will be asked to fill out specific information at checkout regarding delivery date/ time. Please select any date/ time as the e-gift card will automatically be sent to the recipient within a few minutes after purchase -unless you have selected it to be postponed. Enjoy our Delicious and Fluffy whole wheat pancakes! Our pancake batter is prepared from scratch with a splash of vanilla adding a Rich taste and a Comforting Sweet Aroma. We then mix in Hersheys Chocolate chips giving you a Chocolaty Treat with every bite. 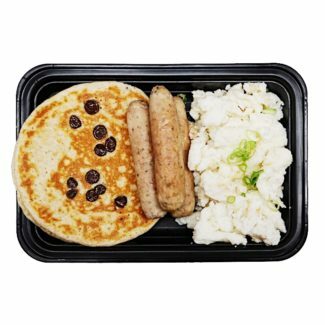 Each of our Breakfast platters comes with a side of Valbella Chicken Maple Sausages, and Egg Whites creating the perfect balance!